This is the proper procedure for selective jettison of specific externals in Falcon 4. 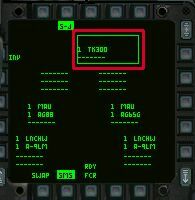 The first thing you need to do is cycle one of your MFD, I use the right one for this example, using the "]" key until you get a display with SMS on it (pic1). 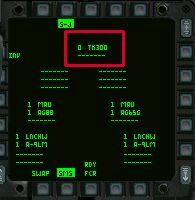 Once you have that display then click on the SMS button with your mouse (I have outlined it in red). 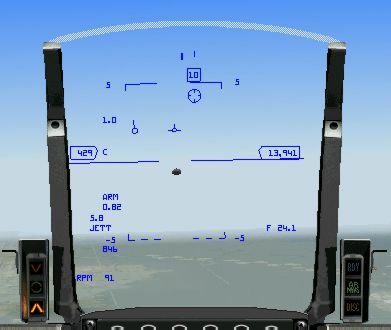 When you click in the SMS button in the MFD you will get the next display. 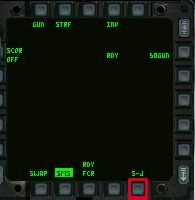 Which has the S-J button on it like the one below (pic2). S-J stands for selective jettison. 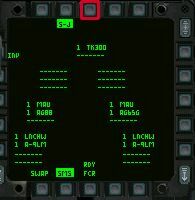 Click on the S-J button (outlined in red for pic only) and you will get the inventory MFD while you will also remain in the selective jettison mode. Once you get here you will see that the drop tank is in the center/top of the MFD. 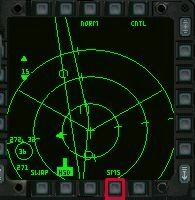 You will need to click on the button in the center/top of the MFD (outlined in red for pic only). This will highlight the tank with a green box, as seen in the next pic. As you can see in the above pic the centerline fuel tank has been selected for jettison while all other stores are not. This will keep you happy. Now that the right gear is selected for jettison all you need to do is pickle the tank just like you where going to fire a weapon. I don't mean select a weapon and pickle. I mean just pickle the tank to drop it. In the pic below we see tank has been dropped and is on a free fall course with the earth. Taking a look back at the MFD shows that the center tank is gone and the count is now 0, as it should be. Once the tank is gone the fast fuel rate will stop. I saw where someone calculated the size of the tank and weight of the fuel that you should be safe dropping the tank at 7000 or 7500 lbs of fuel remaining. I normally drop it at 7000. I hope this helps out some of you. You should click the FCR button to return to a normal mode. If you do not return to normal mode you will not be able to fire your weapons.